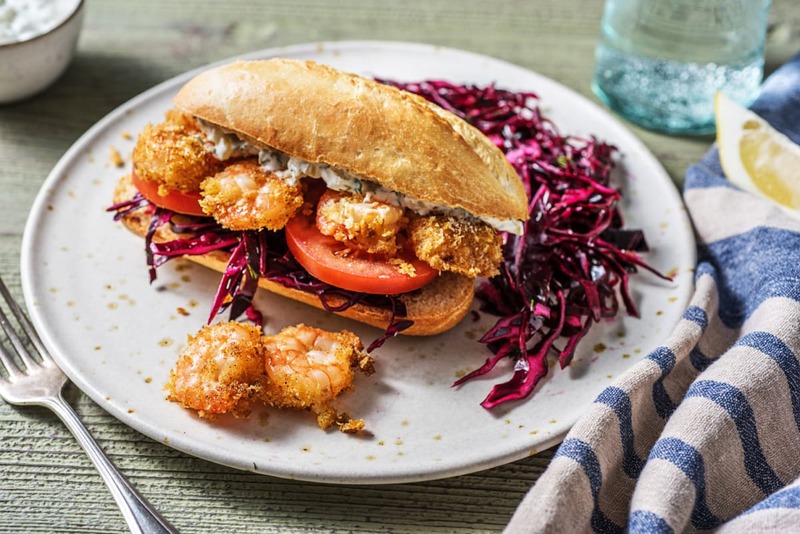 Inspired by the South, these flakey baguettes are full of juicy fried shrimp, a creamy dill remoulade and a crunchy red cabbage slaw! 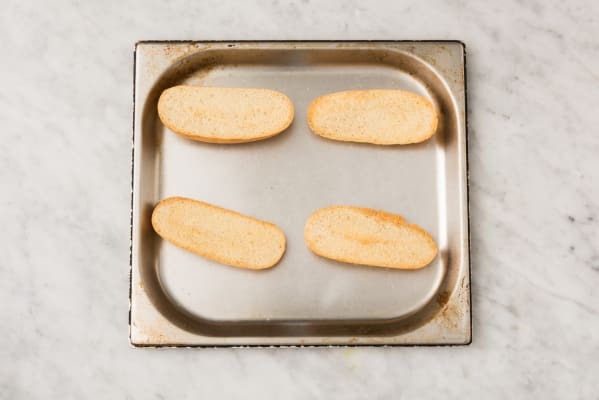 Preheat your broiler to high (to broil baguettes and shrimp). Wash and dry all produce. 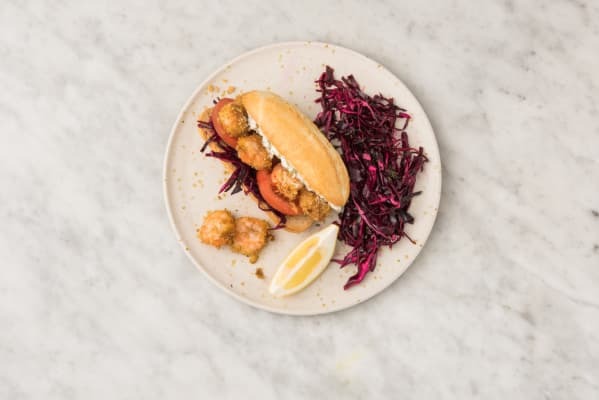 * Using a strainer, drain and rinse shrimp, then pat dry with paper towel. In a large bowl, add shrimp and 2 tbsp mayo (dbl for 4 ppl). Season with salt and pepper. Stir together. In a shallow dish, stir together panko, Cajun seasoning, 1/4 tsp salt (dbl for 4 ppl) and 1/4 tsp pepper (dbl for 4 ppl). Meanwhile, finely chop dill. Slice tomato(es) into 1/4-inch slices. Finely chop pickle(s) into 1/8-inch pieces. Zest, then juice half the lemon (1 lemon for 4 ppl). 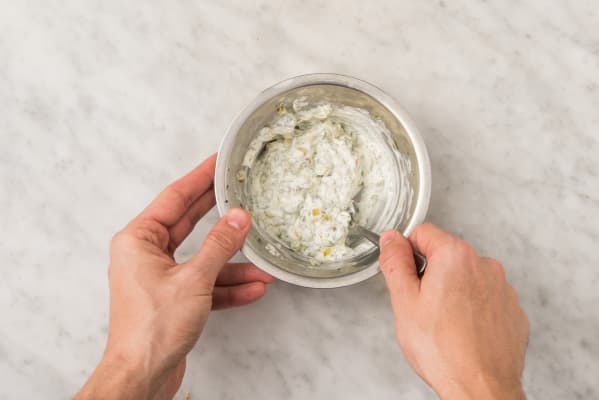 Cut remaining lemon into wedges.In a small bowl, add pickle, lemon zest, half the lemon juice, half the dill and remaining mayo. Season with salt and pepper. Stir to combine. Set aside. 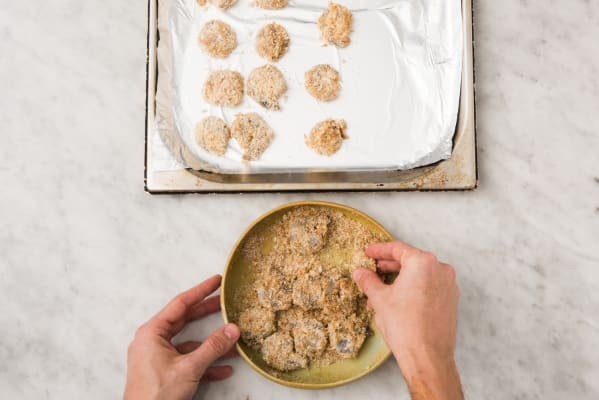 In a medium bowl, add cabbage and 1/4 tsp salt (dbl for 4 ppl) and 1/2 tsp sugar (dbl for 4 ppl) and remaining lemon juice. 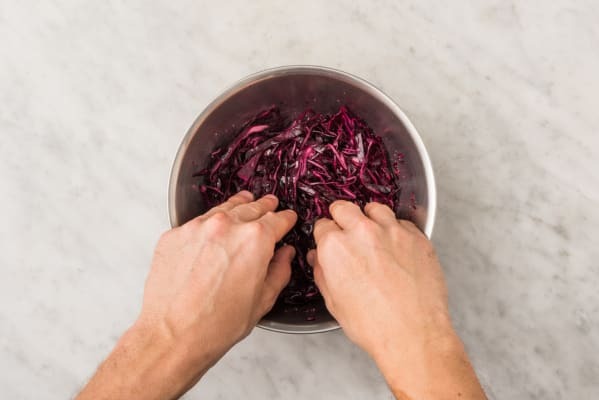 Using your hands, massage cabbage, until slightly tender, 1 min. Add in remaining dill. Stir to combine. Set aside.